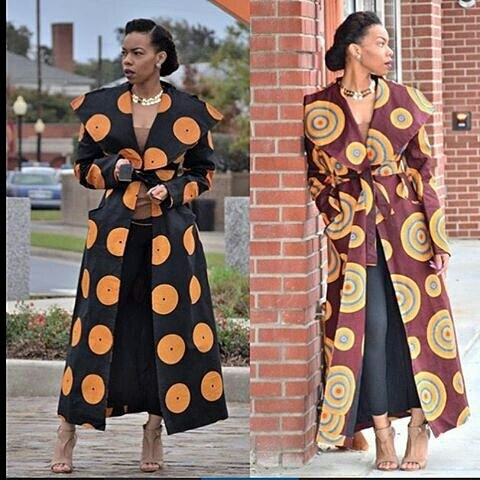 This Ankara kimono jacket be giving me life! 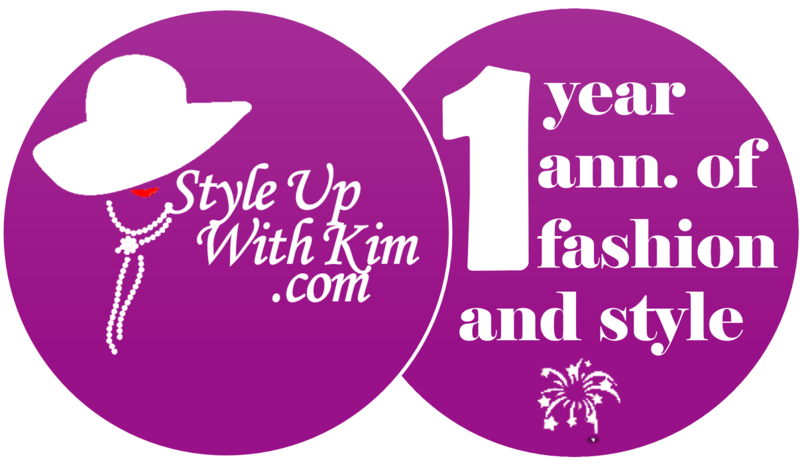 How stylish can a kimono be than this? 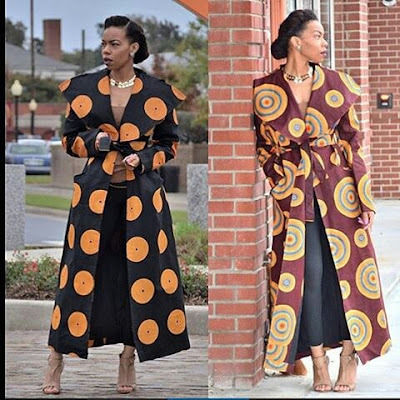 The cape added the whole uniqueness to the Ankara kimono but the difference between the two looks is the pattern of the spots on the ankara piece and the colours too. If I have to choose between the two, I'd settle for the first look. I think the colour and pattern is more perfect than the other one and the pairing just works together. 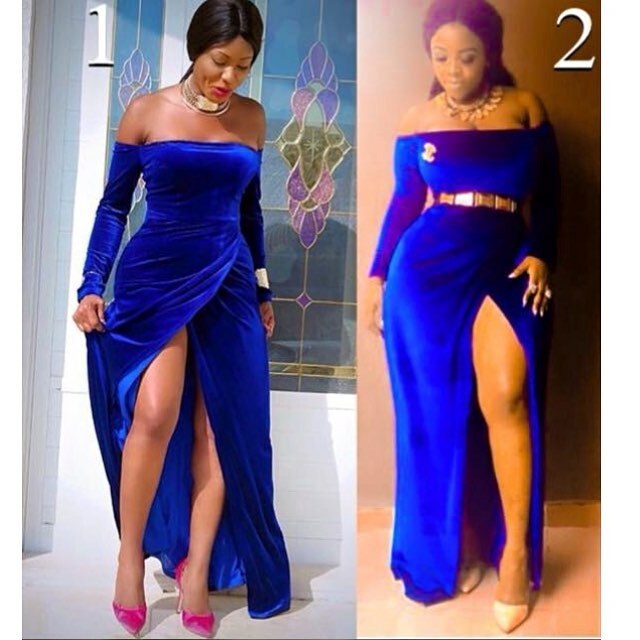 Two pretty ladies rocking the same lovely blue dress, but one of them have to be chosen as the best dressed and I'm definitely giving it to the first lady for keeping it simple with the way she rocked hers. The dress is already too beautiful and bright enough. The suede material added enough glam to the dress, why pair it again with so much accessories. The belt was just a no-no and hey, the pink pump shoes finished the look for the first lady. 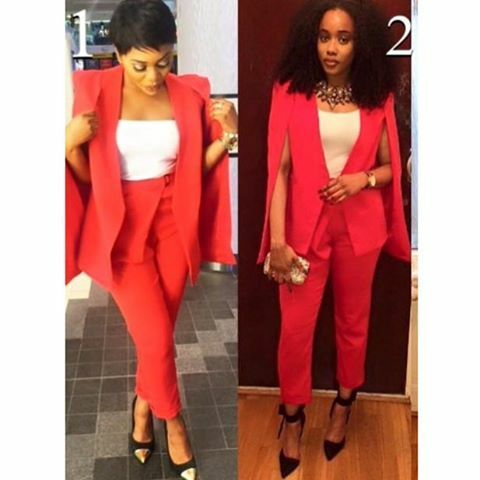 Cape jacket is obviously a trending fashion piece and it has this special way of giving a bossy and classy appearance to anyone that rocks it. Both ladies killed the look, but the second lady stood out with her choice of hairstyle and that statement jewelry. Remember the magic a statement jewelry can do to an outfit, that's what happened here.